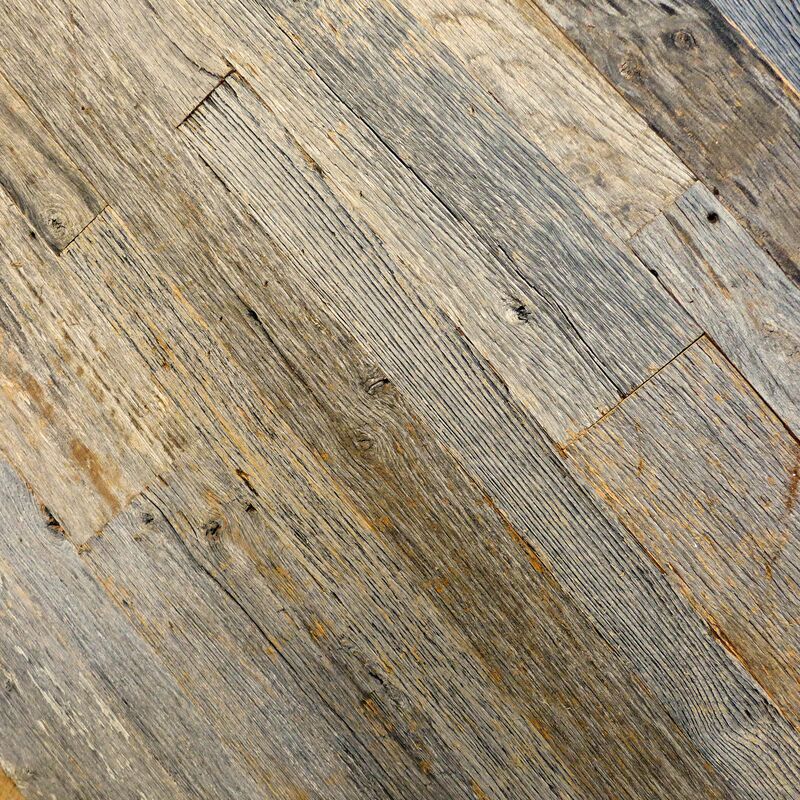 Reclaimed Weathered Grey wall paneling is truly one-of-a-kind. It is difficult to replicate a process that can only happen by nature. This wall paneling is a mixed specie and selected for color and character. It can vary from a light silver to a darker grey and can contain checking, nail holes and sound knots. The natural weathered color is only on the face of the board. The texture can range from a natural circular sawn to a rough “wire-brushed” look. It can be used for all paneling features including backsplashes, wall cladding, ceiling paneling, cladding of cabinetry or other furniture items. Grey Barn board on the backsplash in this basement kitchen. Reclaimed Oak Flooring and custom cabinetry built from our weathered grey material. Found on the south-facing side of most barns, the Weathered Grey barn board is the part of the structure that gets the most sunlight. As the wood is subjected to elements such as sun, rain, heat and cold, each one helps the natural aging and greying of the boards.